The consumption of strawberries and blueberries is associated with delayed cognitive aging by as much as 2.5 years, and may reduce Alzheimer’s disease and cardiac disease by inhibiting platelet aggregation. Intake of strawberries may also lower the risk for cancer, possibly due to the phytonutrient, fisitin, which may help prevent a tumor from establishing a blood supply. 20 mg of vitamin C from two strawberries is enough to block production of cancerous nitrosamines from the nitrites coming off our tongue. In vitro research has shown strawberries to reduce liver cancer cell growth in half. Compared to conventional strawberries, organic strawberries did better in suppressing cervical, colon, and breast cancer cell growth. 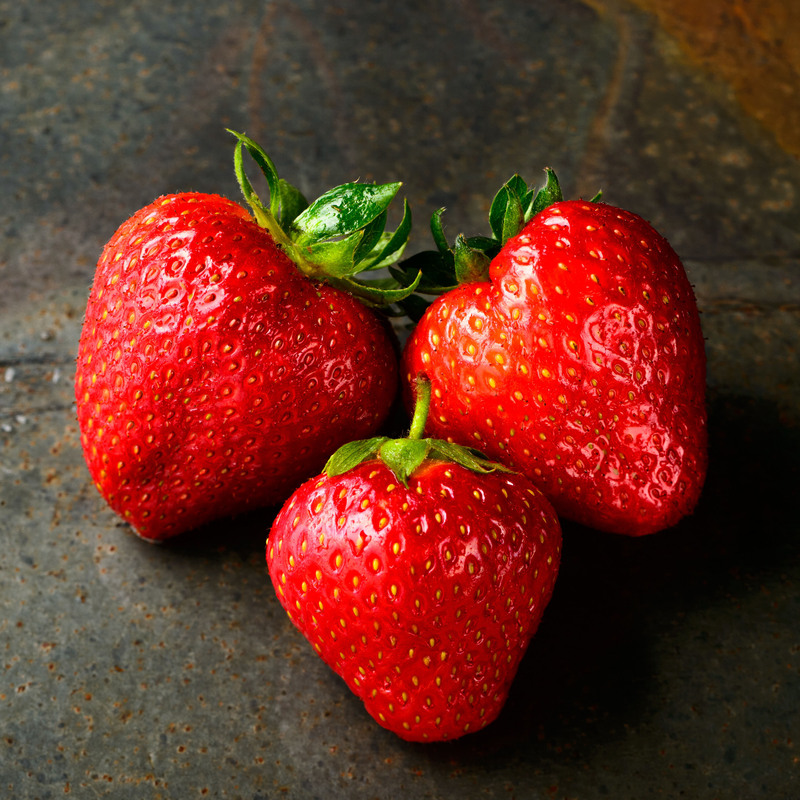 Strawberries may also help reduce breast cancer risk and the progression of esophageal cancer. The fructose in whole fruits, including strawberries, does not have the negative health effects that the fructose in sugar and high fructose corn syrup does. Though they do not rank as high as some other berries, strawberries are still considered to be a good antioxidant source. Drought-stressed strawberries seem to have more antioxidants and phytonutrients than those grown in normal conditions. Strawberries may not, however, be effective in reducing uric acid levels or lowering cholesterol. Image Credit: Jacek Dylag / Unsplash. This image has been modified. Yellow Bell Peppers for Male Infertility & Lead Poisoning? Daily supplementation with 1000mg of vitamin C was put to the test to see if it could improve male fertility and lower lead levels.